Hover mouse over photograph for name and photo credit. Many more photos below! Four guests, representatives and owners of one organization and three companies that sell heirloom and organic seeds, tell us about a few of their many seeds: new ones, undervalued ones, and personal favorites. 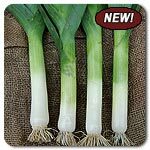 But first, I hold forth at greater length than usual about some of the terms that you’ll encounter when perusing catalogs or websites in search of organic and sustainable seeds. Okay, I have a confession: I am not a seed catalog addict. I do not pour over new arrivals, cultivars, and varieties, or old favorites, tried and true heirlooms, prolific producers, dependable bearers of heavy yields, whatever. Truth to tell, I didn’t really care. After doing this week’s show, I do. I mean, look at those pictures up there. Don’t they make your mouth water? That’s just four items, one from each guest. 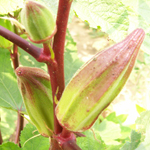 And each talked about maybe a total of five fruits, vegetables, or flowers. And each company carries hundreds. I asked each of the four about seeds that were new this season, about things that got no respect but definitely deserved some, and about their personal favorites. Along the way, we also talked about the philosophy, values, and goals of each company or organization. Jim started the online seed business only about ten years ago, but he’s no newcomer to farming. In fact, he and his crew grow much of the seed on land that’s been farmed by his family for a hundred and fifty years. His catalog includes colored cottons, tobacco, coffee, and rice as well as flowers, vegetables, and both medicinal and culinary herbs. — You can grow rice in your back yard without a rice paddy, and get enough grain to make it worth the effort. Who’d’a thunk it. — Cotton, too, can be a back-yard crop, and you can get enough fibre from a few plants to spin and weave. — Yellow strawberries not only exist, but they’re delicious, and birds ignore them. 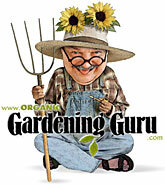 — You can plant (some) strawberries and blueberries from seed and get fruit the same season. Seeds discussed: cotton, rice, red and yellow alpine strawberries, blueberries, hot peppers. 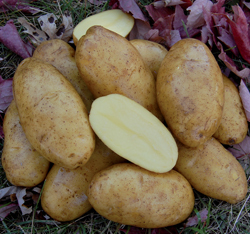 A few of the varieties Jim offers are pictured below. From left to right, these are Long Red Cayenne, Fatalii, Anaheim TMR, Habanero Red, Habanero, Jalapeno Early, and All images from organicaseedco.com. 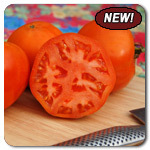 Certified organic; both heirlooms and hybrids. Tom grew up gardening and started saving and sharing seeds the summer that GMOs were first approved for agricultural use. His Director of Research and Production, Jodi Lew-Smith, works with Brent Loy of the University of New Hampshire to develop flavorful, disease-resistant, short-season varieties and cultivars that flourish under organic conditions. 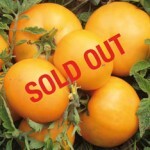 — Tom wrote the Save Seed Pledge, which you’ll find on the websites of most organic and heirloom seed growers. 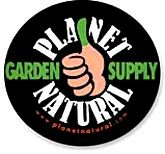 In it, the company promises not to knowingly buy or sell genetically engineered seeds. 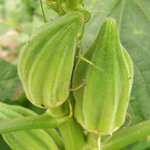 — Short-season crops are especially desirable for organic gardening, as they have less time to be attacked by pests or disease. — You can grow cantaloupe in Vermont. 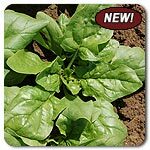 — You can overwinter spinach in an unheated greenhouse where temperatures dip to 25 degrees below zero. 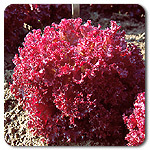 Seeds discussed: Lettuce (pictured: Antago),Tang tomato, Palco spinach, Sivan melon, and Runner Leek. 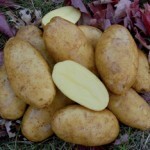 All images from highmowingseeds.com. Ira is a member of an “intentional community” that works and owns Southern Exposure together. She co-ordinates the seed collection for their catalogs, as well as writing and speaking about seeds and seed-saving. A board member of the Organic Seed Alliance for several years, Ira is now also on the board of the Organic Seed Growers and Trade Association (OSGATA), the leaders of the lawsuit being brought by organic farmers and organizations against Monsanto, which produces 90% of the world’s GMO seeds. 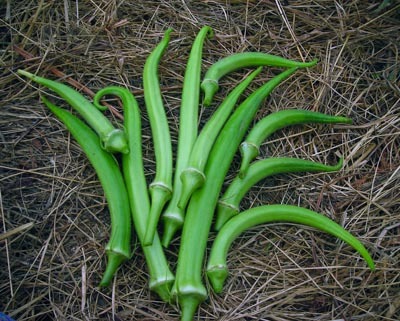 — There exist over 20 varieties of okra. Probably lots more, as Southern Exposure alone carries 20. 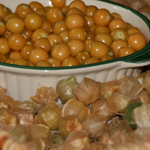 — Ground cherries are Solanaceae–related to peppers and tomatoes. 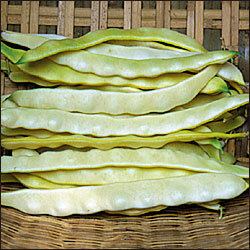 — There is such a thing as “greasy beans,” so-called because their pods are hairless. 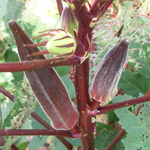 Seeds discussed: Tina James Evening Primrose, collard greens, okra, ground cherries, and greasy beans. Below, from left to right, you see several okras: Star of David, Alabama Red, Burgundy, and Stewart Zeebest. All images from southernexchange.com. Though relatively new to Seed Savers, John is a dedicated gardener who takes full advantage of the experts on hand. He told me the stories behind several SSE seeds, including that of Emmy tomato, whose story involves an escape from Romania, and a gift. 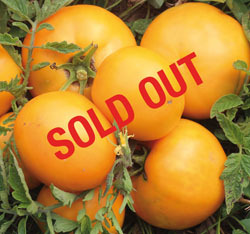 Though a brand new offering this season, it is already sold out. 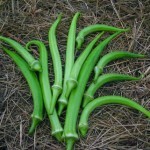 — The core of Seed Savers Exchange (SSE) is the Yearbook, through which SSE enables member-to-member sales. — John especially recommends Seed to Seed (Second Edition) by Suzanne Ashworth, for seed-saving advice. — The Moon and Stars watermelon is aptly named. Amazing. Wow, Never seen water melons that colour before. (The moon and stars one!) Very unusual. Thanks for posting great pictures to go along with the articles. 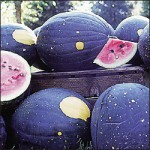 The Moon and Stars melon is awesome! 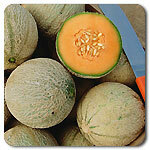 Very unusual melons! Not like the common melons you come across in the supermarket.